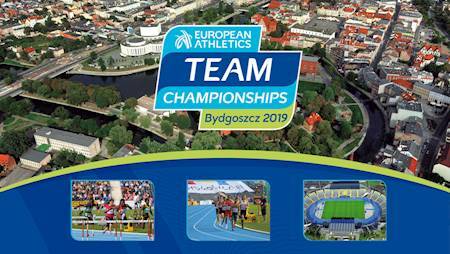 European Athletics Team Championships 2019 will take place from 9th to 11th August 2019 on Zawisza Stadium in Bydgoszcz. The tickets are available now! EATC is a 3-day international athletics competition organised by European Athletics, where the best European athletes compete within their national teams for the overall win on a points system. 12 best countries are qualified to the EATC over 4 lower leagues. The first edition took place in 2009 in Portugal, the last edition in France in 2017, and is continued on a 2 year basis. The following national teams will participate in August 2019 on Zawisza Stadium in Bydgoszcz (listed by the results from 2017): Germany, Poland, France, UK, Spain, Ukraine, Italy, Czechia, Sweden, Finland, Switzerland. Bydgoszcz has hosted countless championships at both continental and global level over the last two decades including the 2004 European Cup, the predecessor to the European Athletics Team Championships and the last edition of European U23 Championships in 2017. Category I for 40 PLN and 60 PLN per day in the sectors by the Finish line, numbered seats at the main stand. 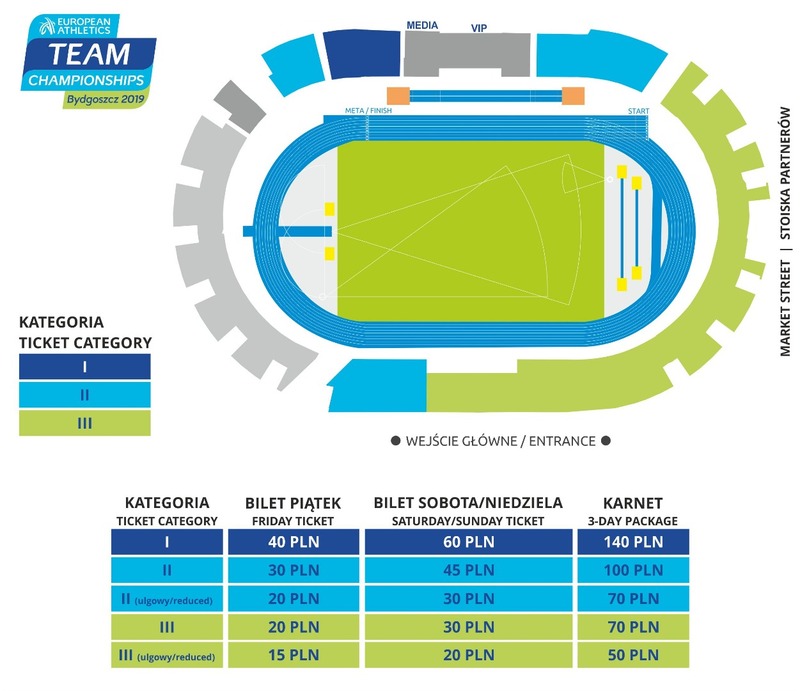 Category II for 30 PLN and 45 PLN per day in the sectors by the Start line, next to the Finish line, numbered seats at the main stand as well as opposite Finish line at the opposite stand. Category III for 20 PLN and 30 PLN per day with general access to the sectors on the curve and the opposite stand, unnumbered seats. The 3-day packages are available in all categories from 70 PLN for the whole Championships. The disabled person as well as her/his assistant are entitled to the discounted tickets.